My friend, the lovely Charlee, posted this on Facebook earlier today. 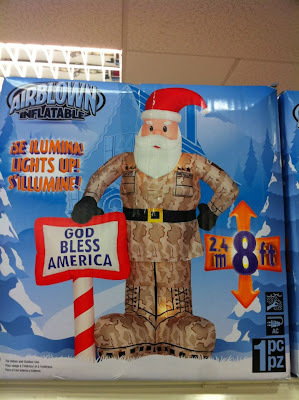 This 8-foot, inflatable Santa is available to buy on a US military base here in the UK - coming to a Christmas near you. Cue the Team America: World Police theme. 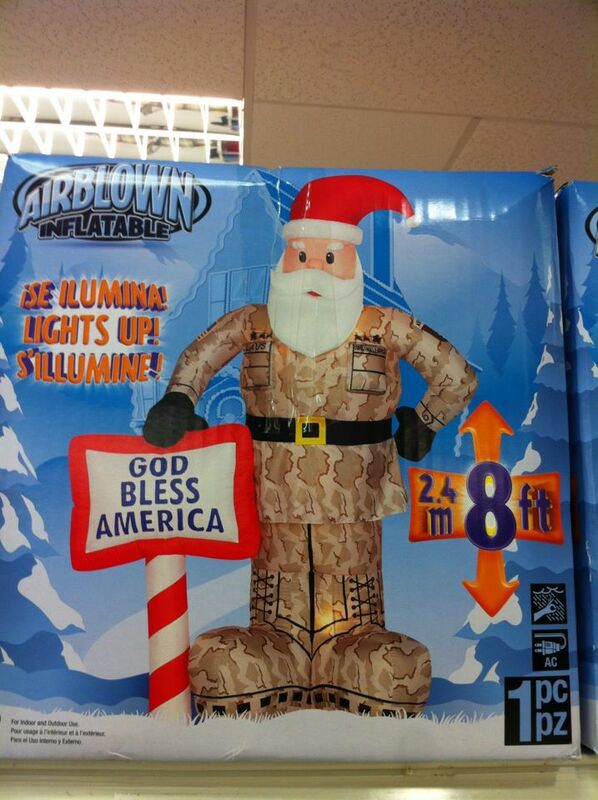 I sent the photo to John and told him I hoped to have one for our front yard some day. He still hasn't replied.